There’s a fairly new alternative to traditional smoking without the side effects of stinky clothes and bad breath. E-cigarettes, also known as vaping, has gained in popularity since first appearing the U.S. in 2007. Some use e-cigarettes as a method to help quit smoking. Others just pick up the habit having never been a smoker before. 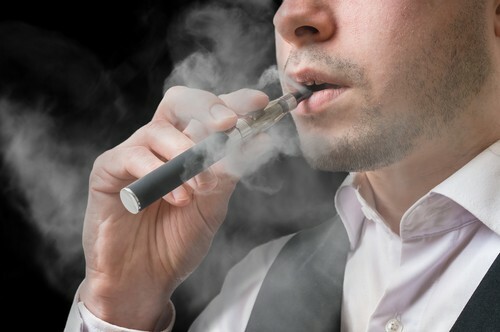 But at our Clinton Township dental office, we wanted to know if these electronic cigarettes are safe, or if they pose similar, or worse, threats to oral and overall health. So we researched it, and here’s what you need to know. If you’re a smoker, we encourage you to try quitting for both your oral health and your overall health. We also recommend seeing your dentist in Clinton Township every six months so that if a problem like oral cancer or gum disease does arise, it will be caught and treated early.